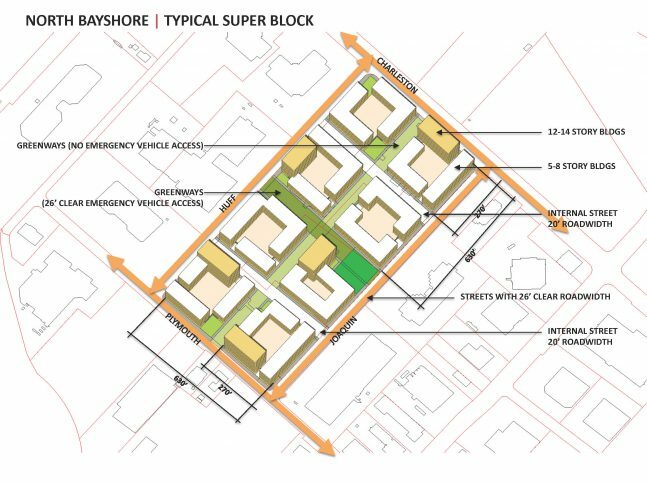 VMWP is collaborating with Raimi + Associates on overhauling the zoning and regulatory structure of Mountain View to allow the construction of up to 10,000 housing units in a mixed-use neighborhood in the North Bayshore area. 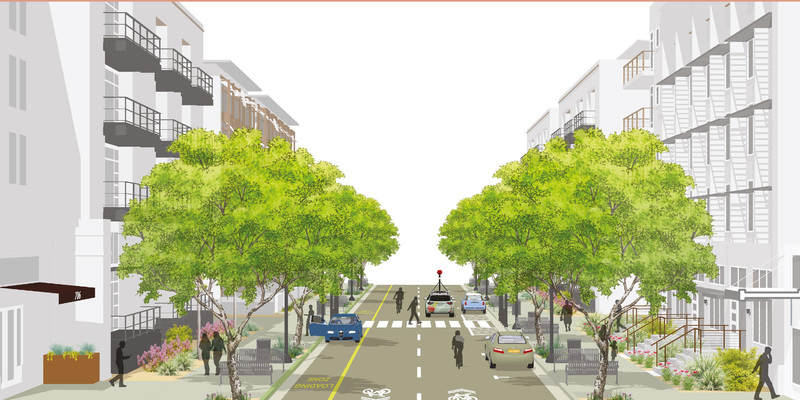 VMWP is spearheading the urban design, block structure, street design standards, and feasibility analysis of the proposed zoning and land use regulations. 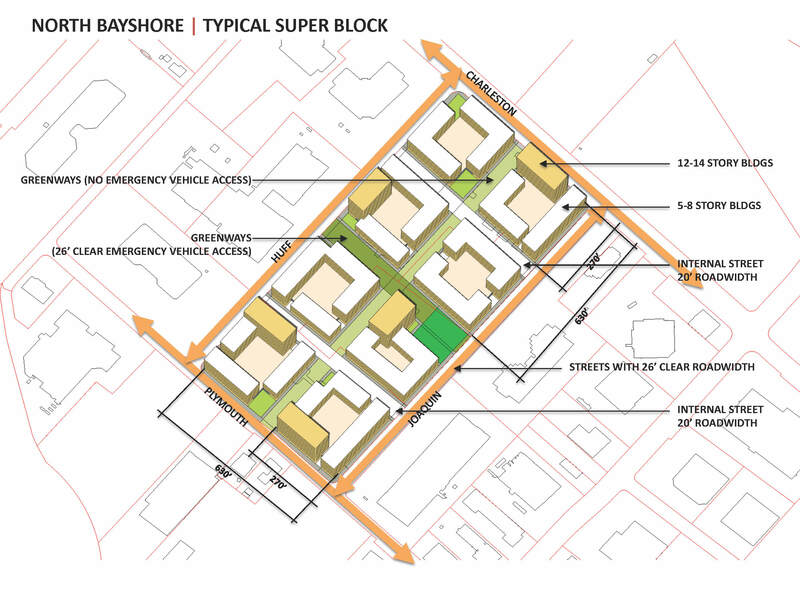 In addition to more flexible land use, the plan reorganizes the area through a comprehensive grid network that catalyzes alternate forms of mobility, facilitates density, and helps to build a cohesive identity for a currently fragmented area. 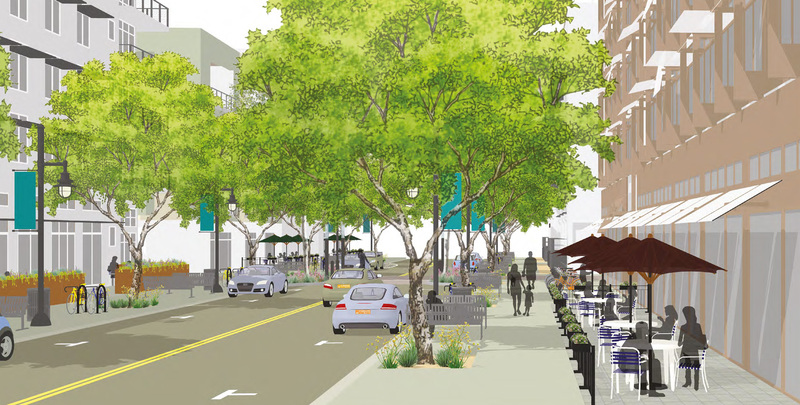 To transform the North Bayshore section of Mountain View from disconnected office parks to the vibrant, mixed-use heart of Silicon Valley.